What is the History section? You can find all contact edits, additions, deletions, and merges in the History section of FullContact for Web and FullContact for iOS. It's also an easy way to make further edits (and undo changes). How do I restore, unmerge, or undelete a contact? 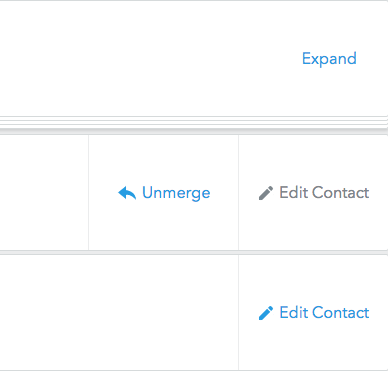 In FullContact for Web, click on the action (unmerge, undelete, etc.) in the same row as thecontact you want to edit. How do I view a contact’s history? In FullContact for Web and FullContact for iOS, click View Contact History at the bottom of the contact. Can I filter the History section?